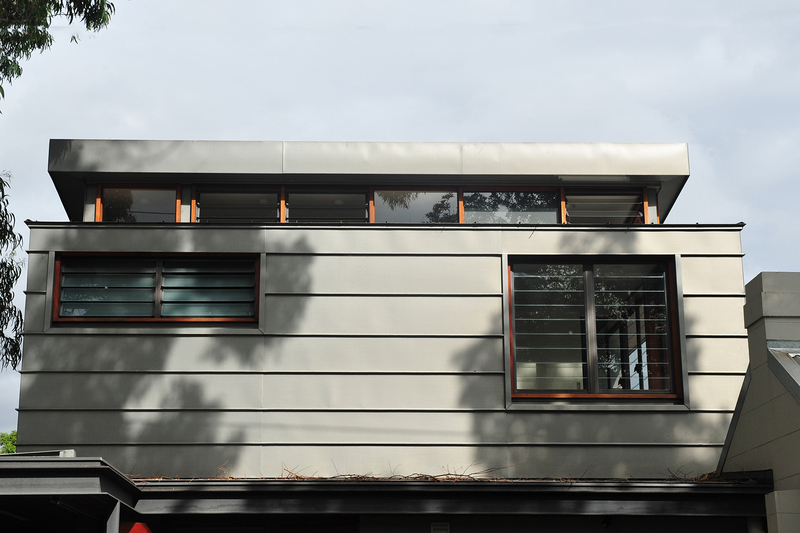 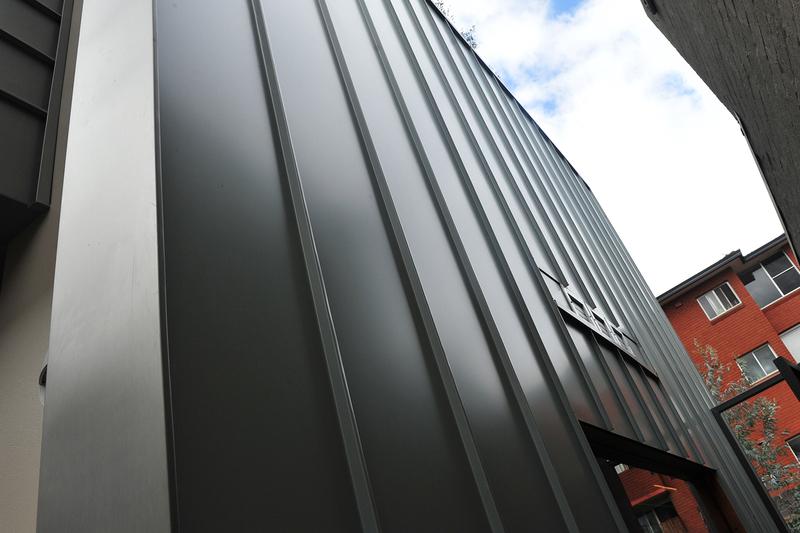 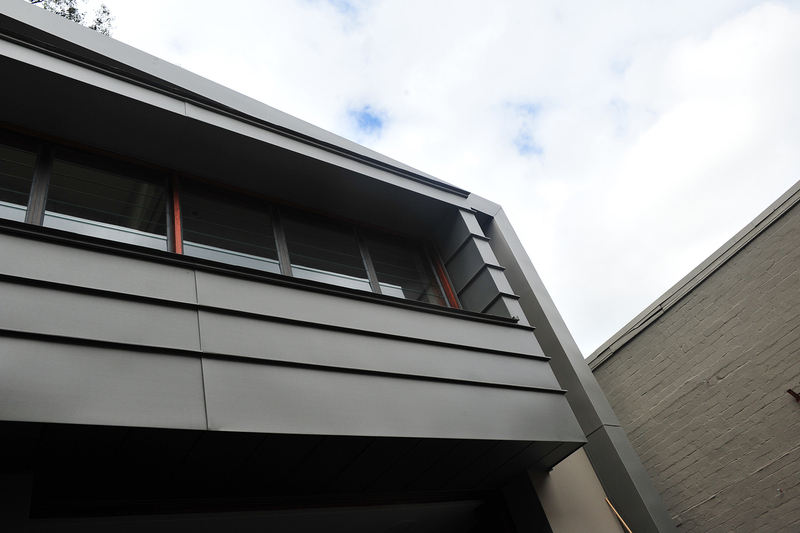 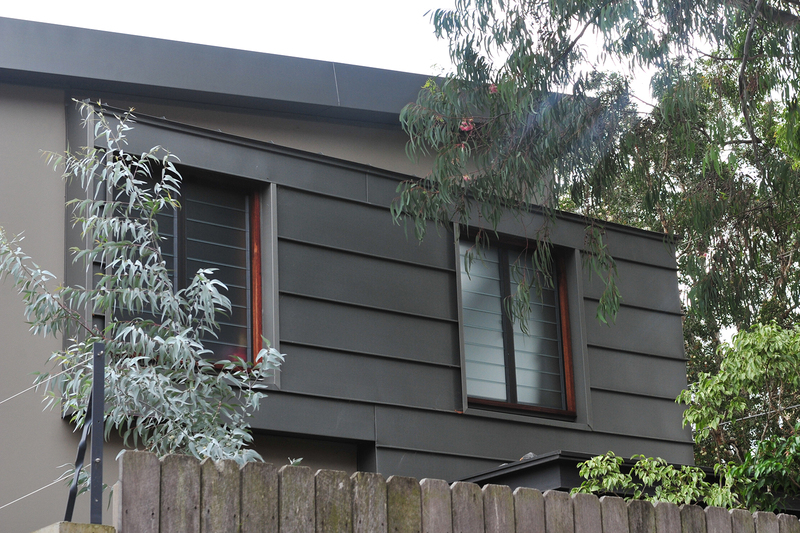 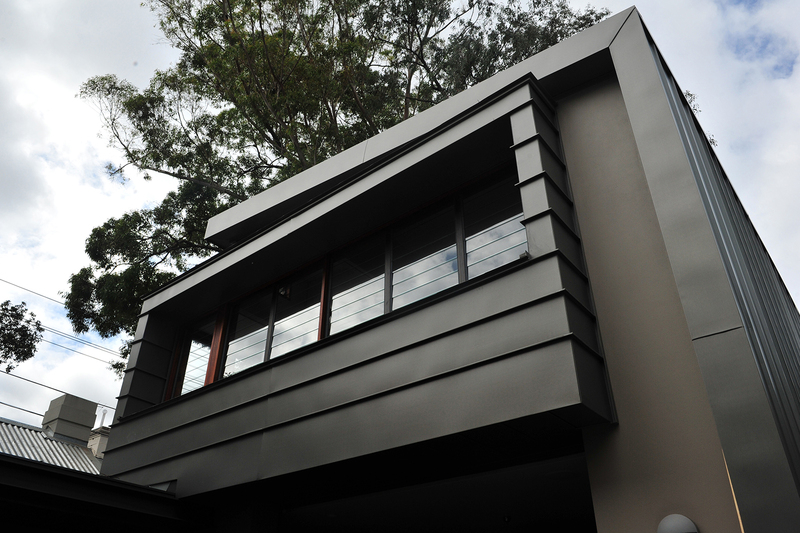 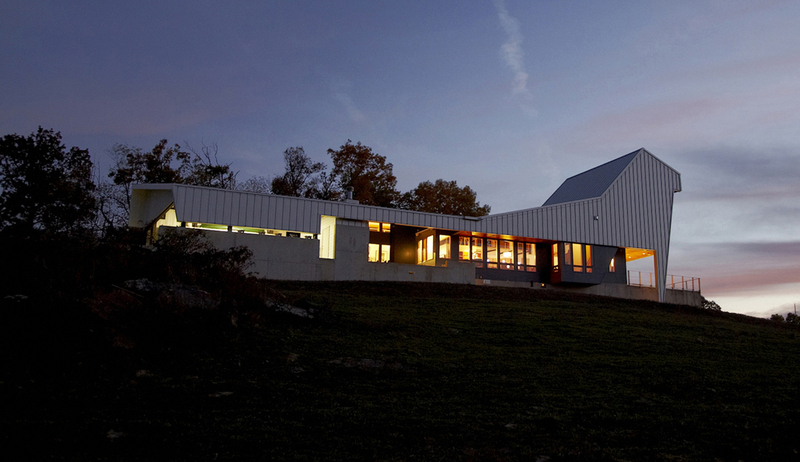 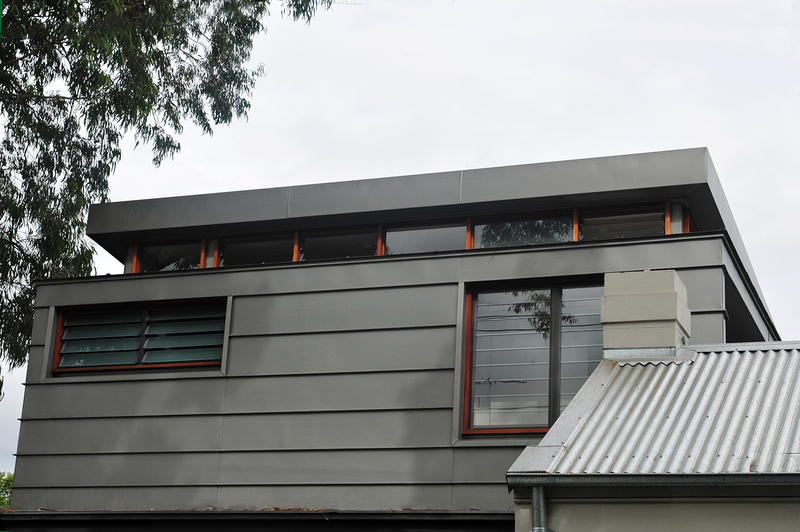 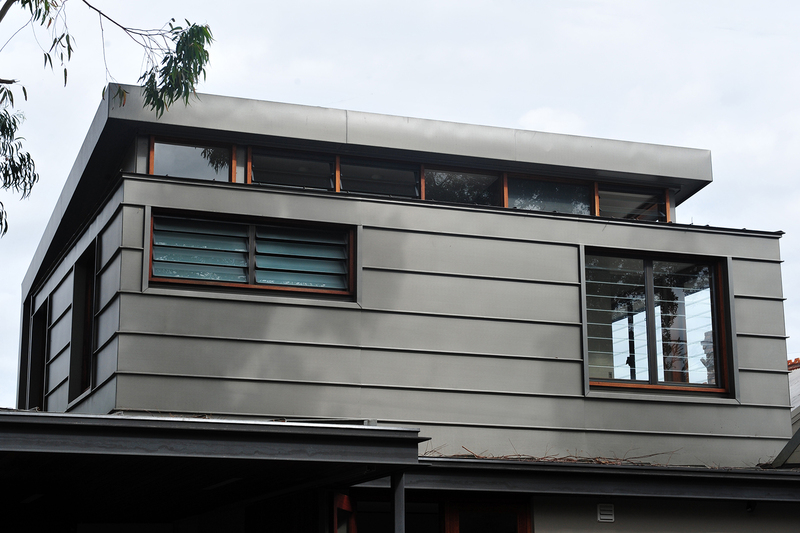 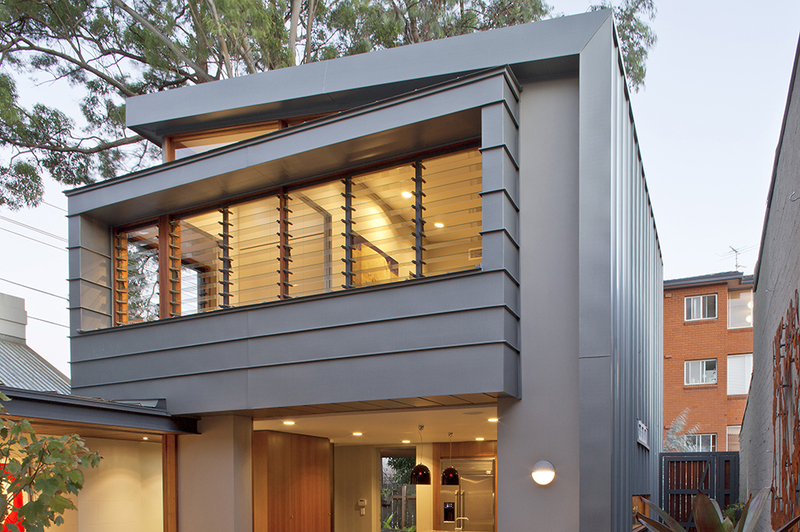 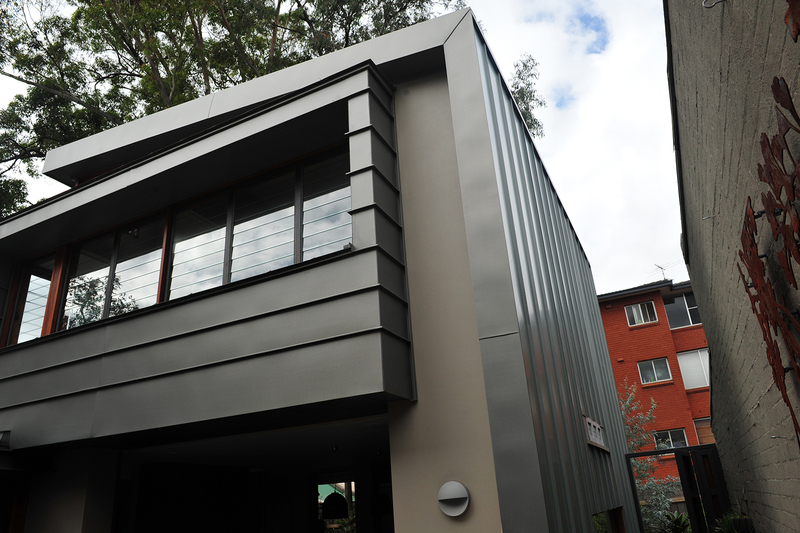 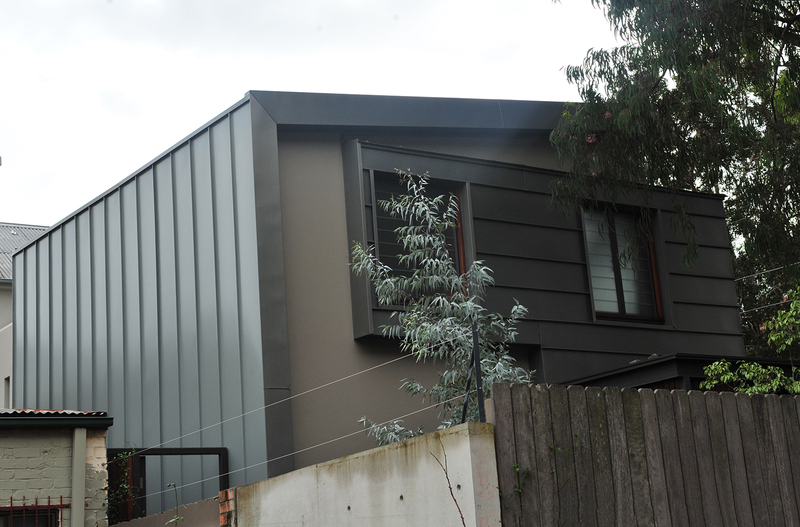 VMZINC Quartz+ single-lock standing seam cladding wraps up and over this luxurious residence in Newtown. 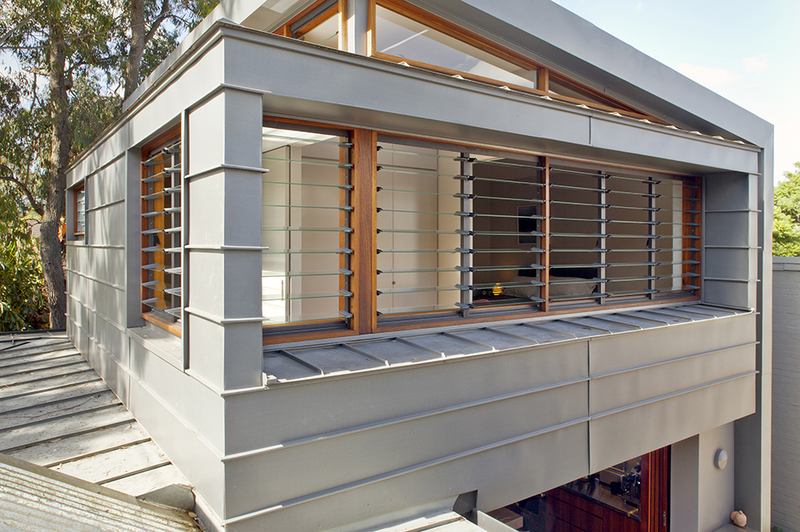 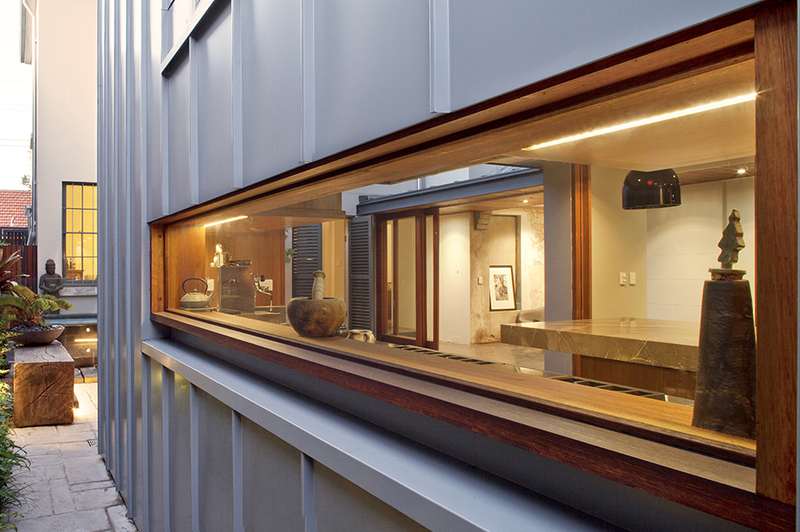 A zinc-clad horizontal box form wraps round three sides – a device for additional storage and space at the first floor level. 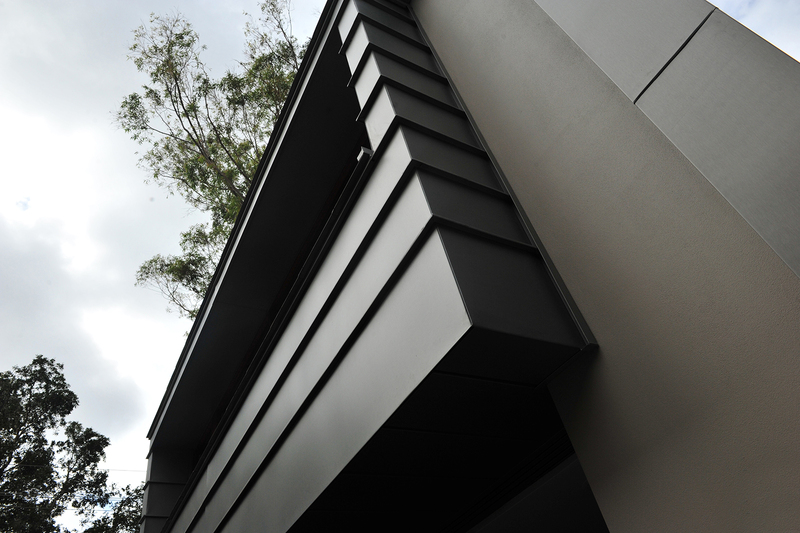 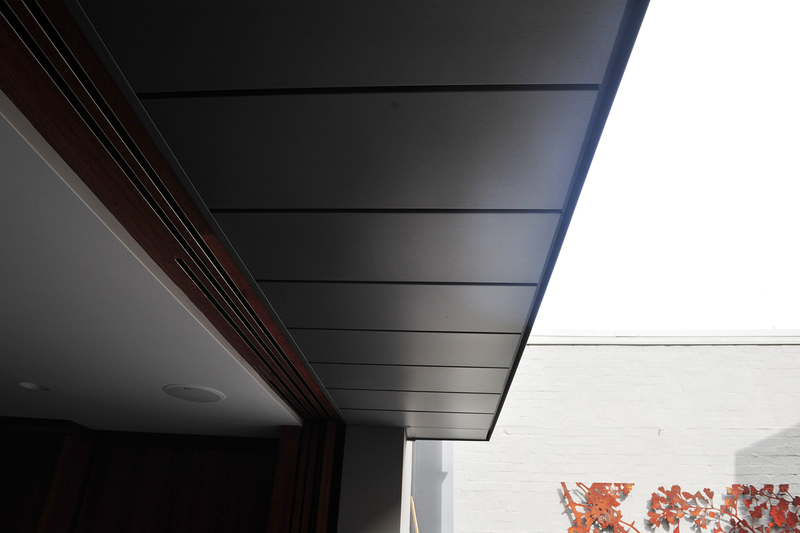 Interlocking Panel soffit in the same finish, VMZINC Quartz is a great match to the external cladding.